Our region is a great place to live. But growing gaps between rich and poor are creating a divide within our communities. Every day, people in our communities struggle to build better lives for themselves and their families. These challenges are fueled by serious social and economic barriers including poverty, mental illness and social isolation, among others, making it remarkably difficult to get ahead. 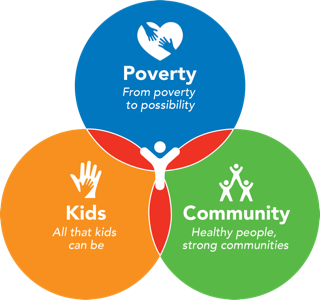 When you support United Way, you’re helping to build a strong social safety net for members of your community. This means that people in all ages and stages of life have access to all the supports they need the most, when and where they need them. 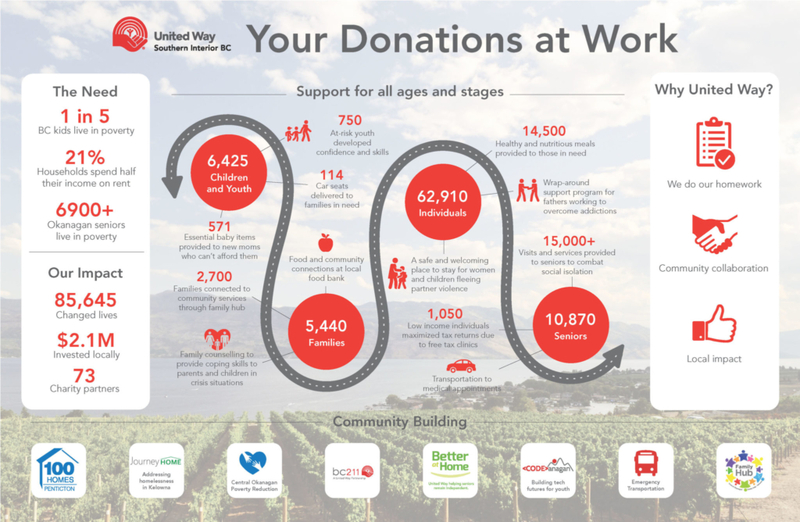 In these reports, you can find lists of all the organizations and specific programs that received allocated funding from United Way Southern Interior BC in the previous year. United Way believes in working with local agencies and experts in order to make lasting change in our communities. It was through this process of consultation and collaboration that United Way created its Community Impact Strategy, a framework which will direct our local investments, collaborations and community building initiatives for the next 3-5 years. In keeping with United Way-Centraide Canada’s national brand framework, our United Way has endorsed 3 strategic focus areas. We have further defined 9 local priorities based on research and community consultation. For further detail on how these priorities guide our investments, you can read the whole report here. Your support creates opportunities for a better life for everyone in our communities. SHOW YOUR LOCAL LOVE.